Laughter is a great way to bring people together so join Notaviva Vineyards this weekend for their 5th Annual "My Funny Valentine" Comedy night featuring NBC Series Last Comic Standing semi-finalist Jason Weems! Enjoy great food, wine and laughs with your loved one. Not into the typical Valentine&apos;s Day traditions like chocolates and flowers? Shocktober has you covered with the "My Bloody Valentine" blackout tour! Let the carvers take you and your sweetie on a trip through love-wrecked horrors with only the "romantic glow" to light the way. 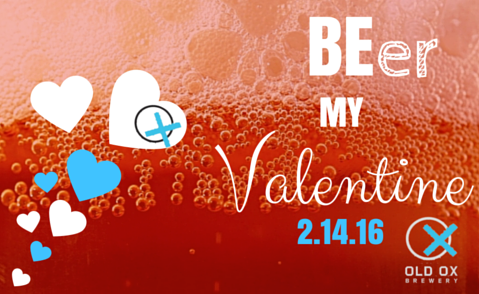 Old Ox Brewery is hosting a Valentine&apos;s Day event for the LoCo Ale Trail lovers. Sample a few aphrodisiac-infused beers, get a pint of your favorite Old Ox brew and take home a bottle of either Kristin&apos;s Passion or Kristin&apos;s Envy depending on how the night goes. What is more romantic than brunch? Nothing. Join Stone Tower Winery for a beautiful and delicious love brunch this Sunday. Choose from different gourmet options for you and your love to share over great Stone Tower vino.